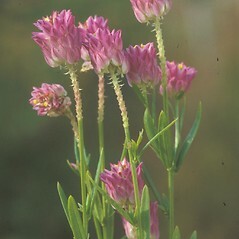 Blood milkwort is small annual with a terminal, spike-like raceme of densely-packed flowers whose color is variable in New England. 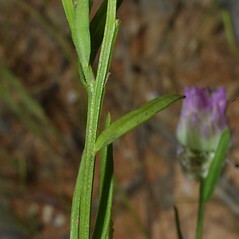 wing sepals mostly 3–5 mm long, ca. 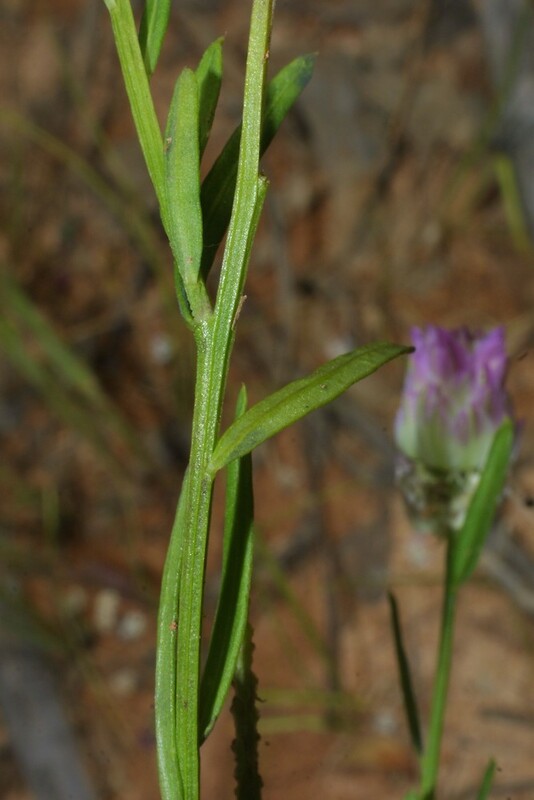 2 times as long as the corolla, and racemes mostly 6–10 mm thick (vs. P. nuttallii, with wing sepals 2–2.5 mm long, +/- as long as the corolla, and racemes 4–6 mm thick). 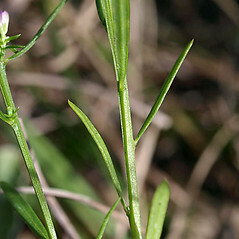 some nodes with whorled leaves and inflorescence pointed at apex (vs. P. sanguinea, with all nodes with alternate leaves and inflorescence blunt at apex). 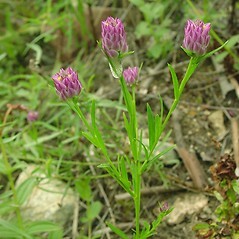 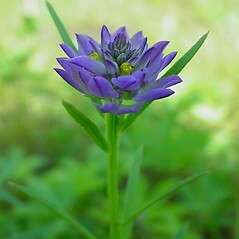 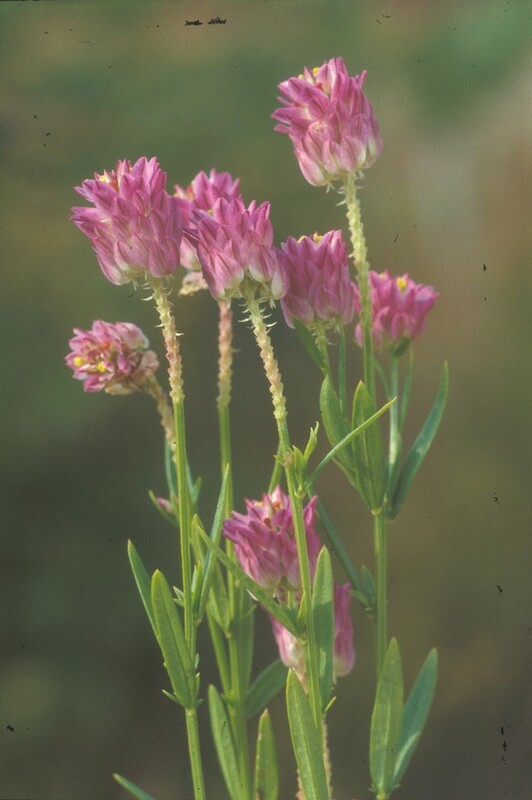 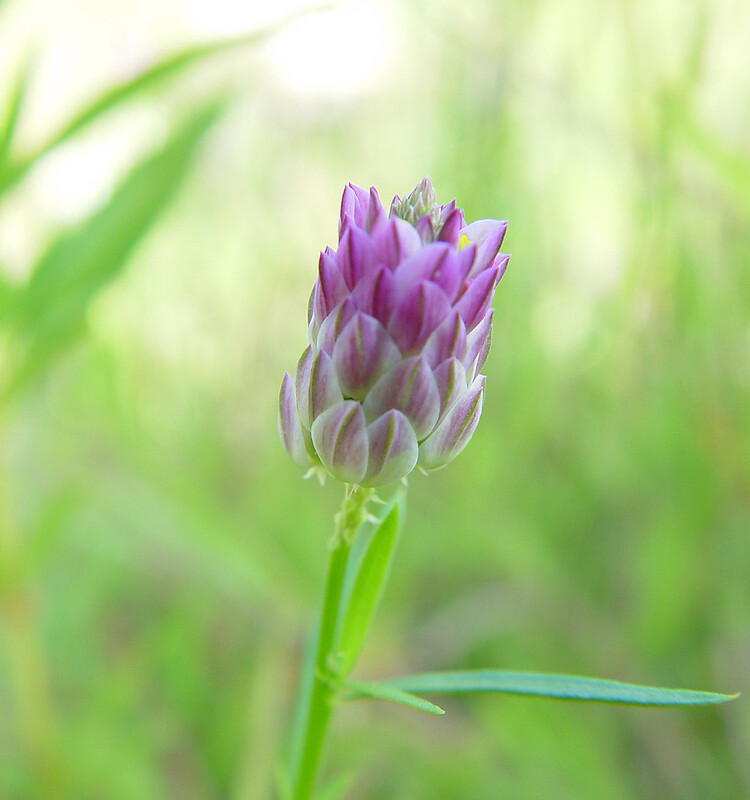 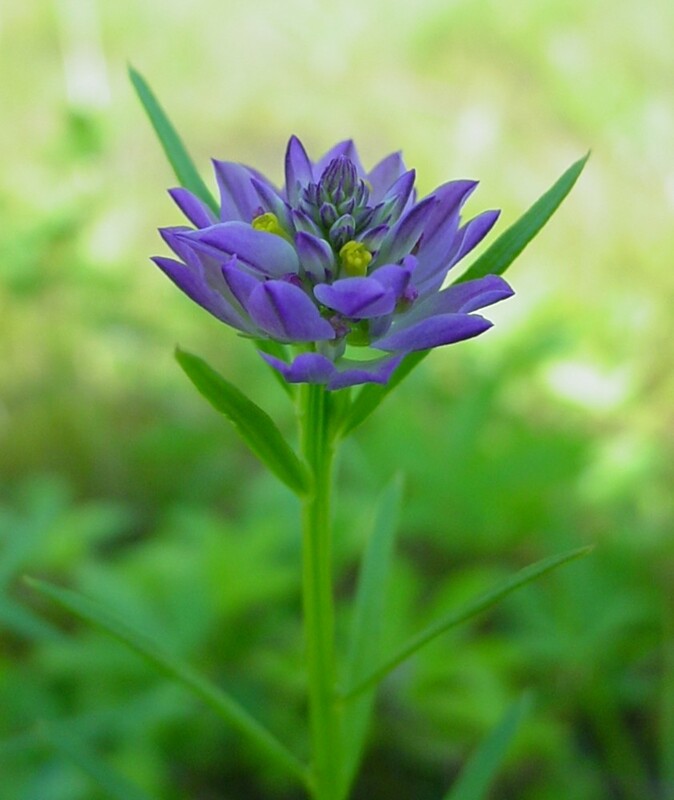 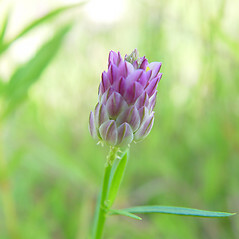 blood milkwort. 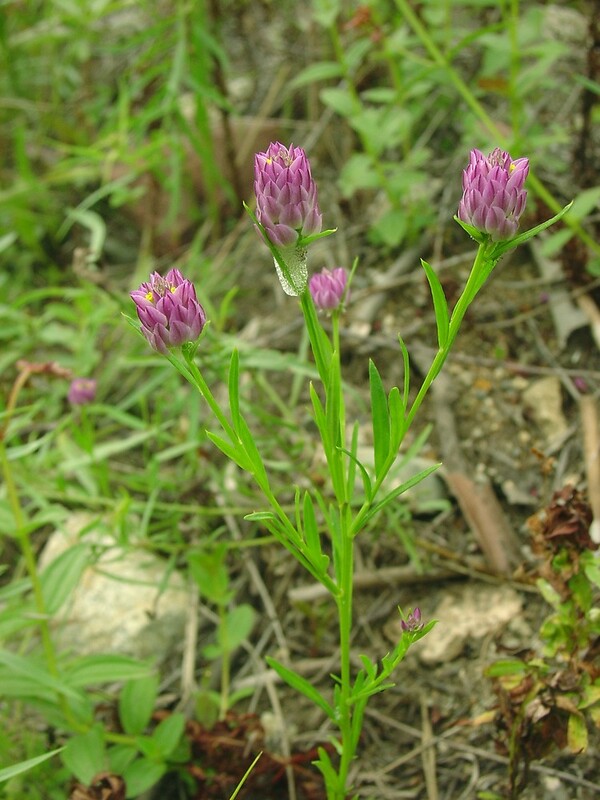 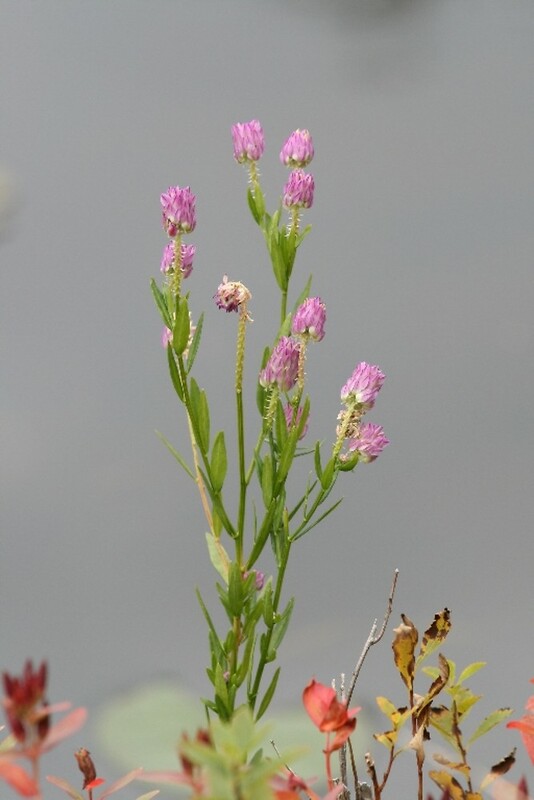 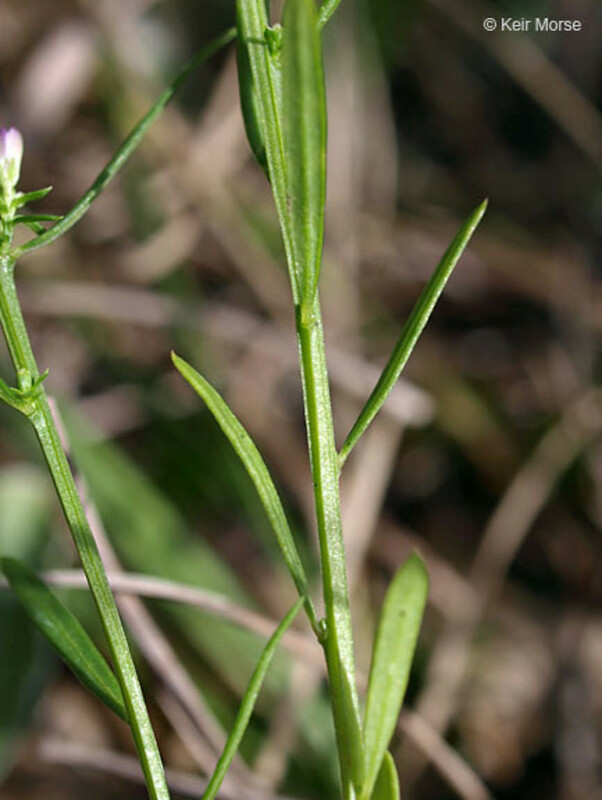 Polygala viridescens L. • CT, MA, ME, NH, RI, VT. Fields, roadsides, forest clearings, trail and logging road edges. 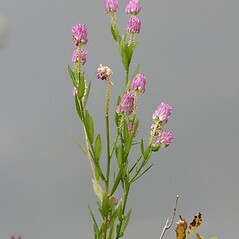 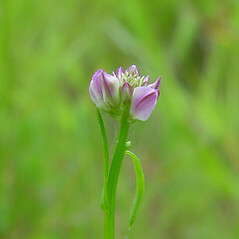 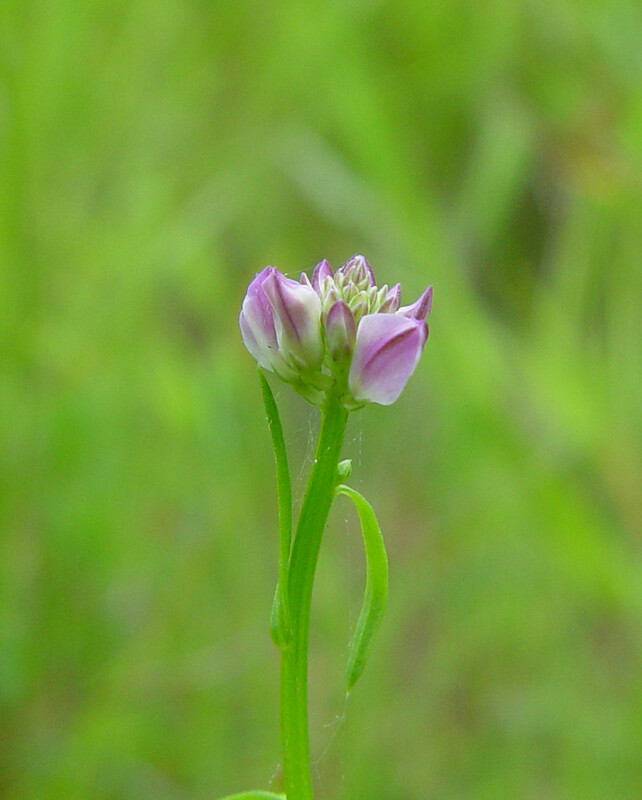 This species shows three color forms in New England: pink-red perianth (the most common), green perianth, and white perianth.